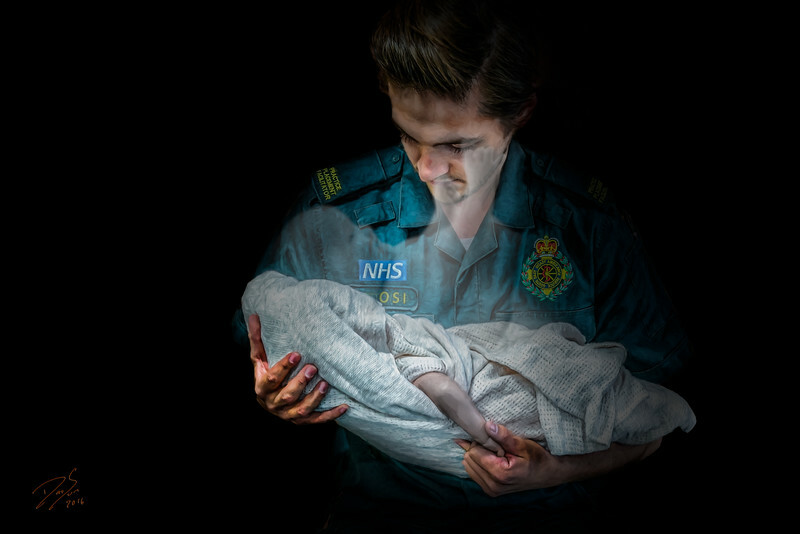 I often hear from fellow Paramedics of the terrible calls they’ve had involving children. I guess I hear from so many because calls involving children are the ones that affect us the most. For those of you who are not involved in this field image seeing an infant after it has been murdered by its father, just to punish its mother. Or a boy who has been decapitated because he tried to defend his sister who was raped then had her throat cut. I’m not trying to shock anyone or be overly graphic, these are real calls that real first responders have had to deal with. Real life is much worse then most people’s imagination. Is it not normal to be altered after being witness to these things? Not all calls involving children involve violence of course, but that doesn’t make them necessarily easier to deal with. When called to an adult cardiac arrest we often need to reposition the body to attempt resuscitation. We need to move them from the bed, or pull them from the bathroom or position them in a place where we can work. Adults are heavy and difficult to move…children are not. I remember all the SIDS calls I’ve done where I simply scooped the baby and ran to the ambulance while attempting resuscitation. Lifting a lifeless baby from their crib as their parents are overcome with grief is just an indescribable position to be in. I still have many calls in my head that I can’t get out that involve children. I have produced some images of those calls that I’ve never shared but It’s difficult for me to process them. I call this image Children of Heaven. It brings me peace thinking where these kids are now instead of thinking of what happened to them. I also remind myself of all the children we did help and the look on their parents faces when we were able to make a difference. Having paediatric patients can be the most rewarding or the most devastating part of our job. I hope this image gives comfort to my fellow first responders in the same way it has for me. I know all to well how you feel my brother. I have been in EMS for 28 years now. And yes Pediatrics still get me. I had emailed you before. Would really like to see something of joy and happiness due to a deleivery in the ambulance? We see so many go over the years but see very few lives brought into this world. I have had 3 now in the 28 years. Thank you for all the incredible artwork you do. It really helps me personally to see them.